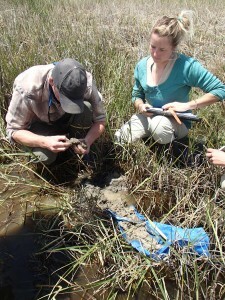 UGS researchers Ryhan Sempler and Maddy Merrill examine a soil sample for hydric indicators to better characterize hydrologic conditions at Inland Sea Shorebird Reserve. Answer questions on Utah geology by responding to walk-in visitors, letters, telephone calls, and emails. Phone UGS at 801.537.3300. Provide online publications and maps; databases and data downloads; geologic hazards; energy resources, energy and mineral statistics; groundwater monitoring; rock and mineral collecting sites, dinosaurs and fossils; information on the programs and activities of the UGS. 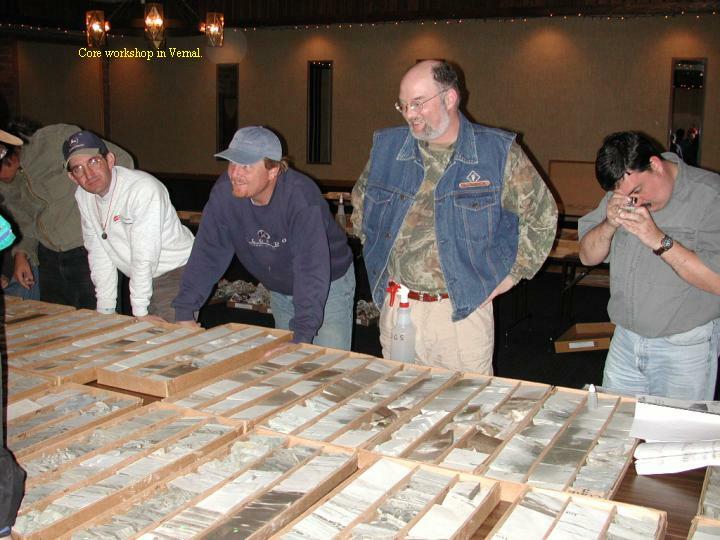 Provide facilities to archive and examine borehole cuttings, core, type oils, coals, and selected surface rock samples from Utah; conduct workshops, tours, and core slabbing and photographing. Call for appointments or information at 801-537-3359. Click here for more information. Maintain numerous reference materials on Utah’s natural resources, including maps, publications, and theses/dissertations from the UGS, U.S. Geological Survey (USGS), state academic institutions, and professional geologic organizations; provide public-access digital data including geologic map and hazards bibliographies. Available to the public for research. Contact Librarian at 801.537.3333. Visit by appointment only. Click here for more information. Provide large selection of publications and maps on Utah geology from the UGS, US Geological Survey, Utah Geological Association; recreational maps and books for Utah and surrounding areas; complete inventory of US Geological Survey topographic maps of Utah. Open Mon-Fri, 8:00 a.m. to 5:00 p.m. Shop online at mapstore.utah.gov. Glad You Asked: You have a bookstore? In the digital age? 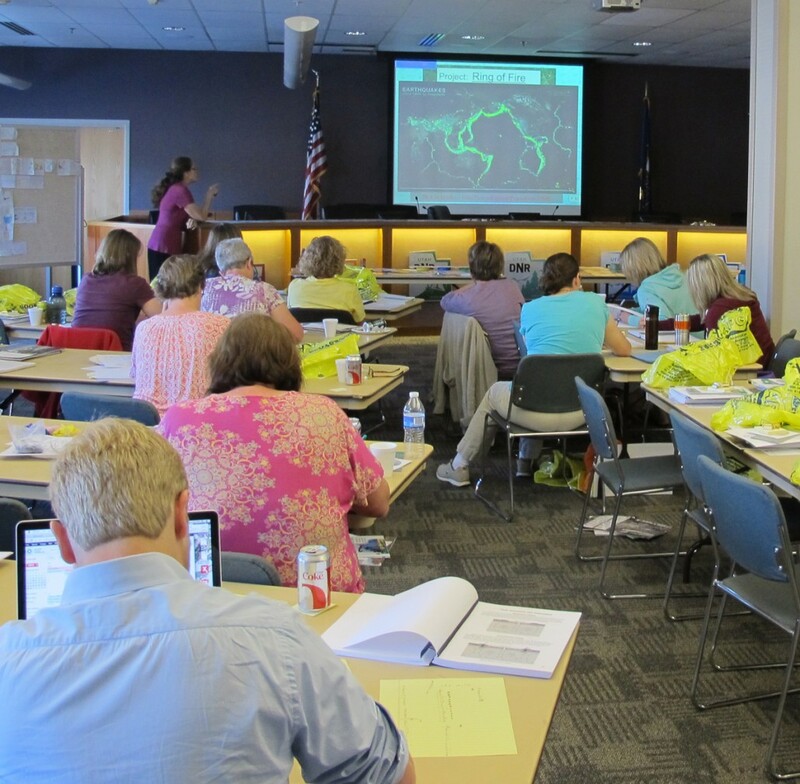 Advise state and local governments on geologic hazard emergencies, prepare hazards maps, delineate special study areas, and review consultants’ geologic hazards reports for school districts. Click here for more information. Publish informative, non-technical magazine three times a year on important and interesting geologic topics in Utah; highlights current developments and completed research, energy news, significant finds, projects and partnerships. Click here to view Survey Notes issues. 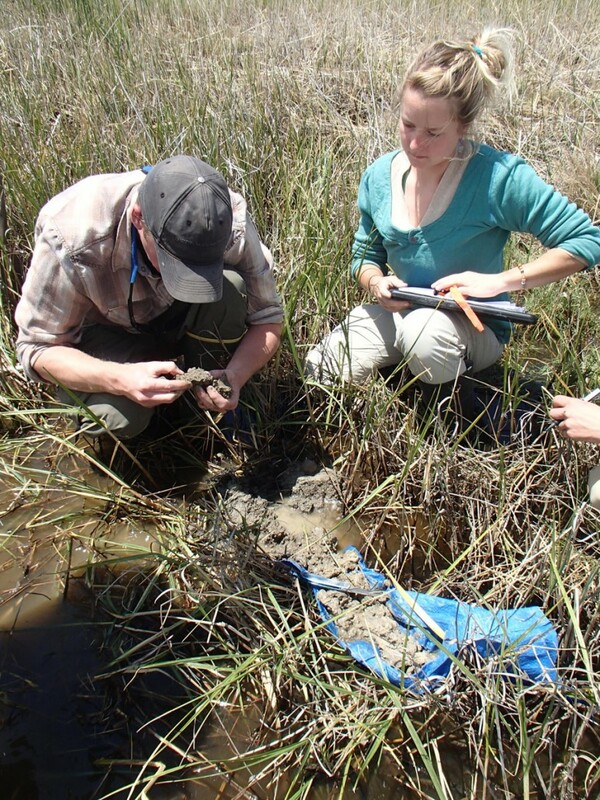 Evaluate the quantity and quality of Utah’s wetlands and groundwater resources; protect drinking-water supplies; investigate environmental impacts of septic tank soil-absorption systems for local governments and state agencies. Click here for more information. Interpret and inventory paleontological sites; recover fossils; issue permits for fossil excavations to qualified professionals; assist and/or partner with other agencies. Click here for permit application for paleontological investigations on state managed lands in Utah. Maintain contact and exchange information with mining and petroleum operators, promote exploration and development opportunities, and respond to technical industry inquiries. Oversee joint cooperative research with industry; projects include developing geological and petrophysical characterizations of oil and gas reservoirs, increasing gas and oil production, and reactivating idle oil leases in Utah. Investigate the energy and mineral resources of counties, sovereign land tracts, and school trust lands for county governments and state agencies. Loan out four different teaching kits ($50–$100 refundable deposit): rock/mineral/fossil; dinosaurs; landforms; and Ice Age. Stream tables and other geologic models are also available for loan. Click here for more information. 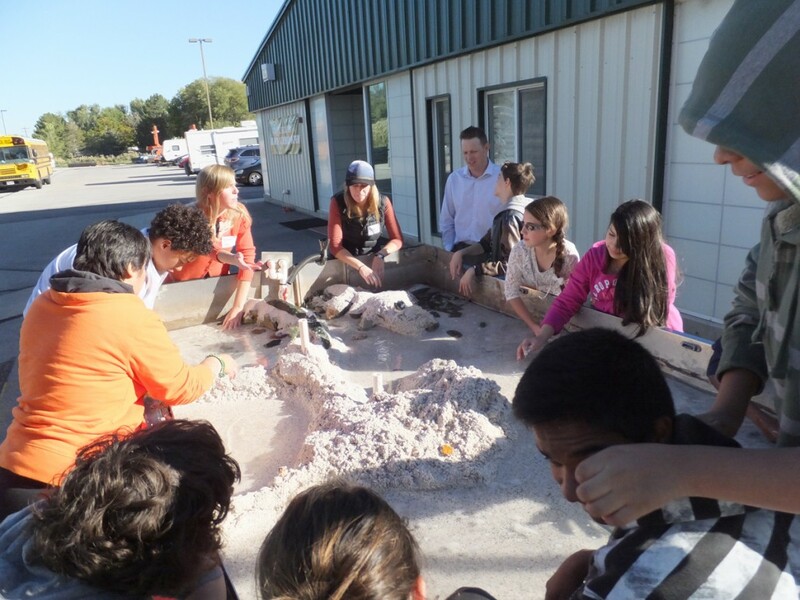 Host annual hands-on geoscience activities in October for elementary school groups. Teachers call for reservations (801-537-3300). Click here for more information.